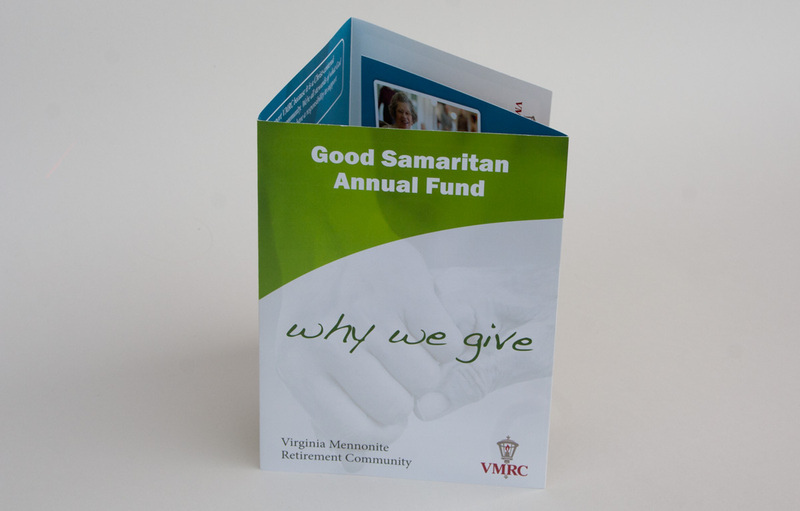 VMRC is a highly-respected retirement community in Virginia that seeks to provide the best care possible for their residents. That’s why they chose to be a part of the national movement of Green House® projects – an innovative new model that transforms the experience of long-term care for elders. Green House® homes resemble single-family residences. VMRC’s Woodland Park will be a distinct neighborhood of private Green House homes. 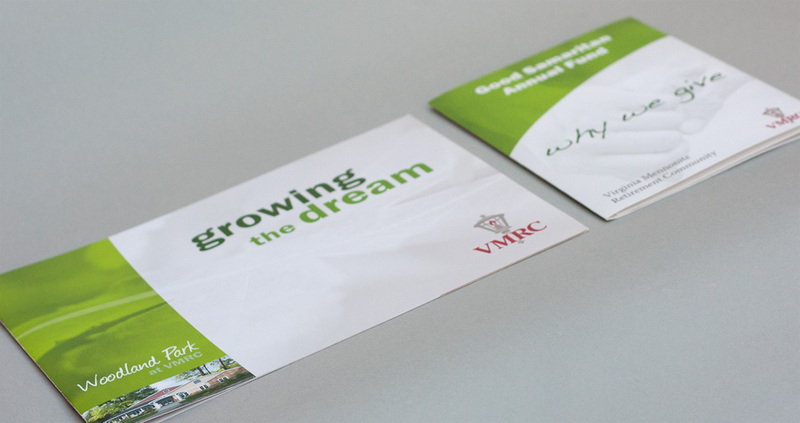 VMRC was in need of an introductory brochure that would serve to raise awareness of the project and to solicit funds. 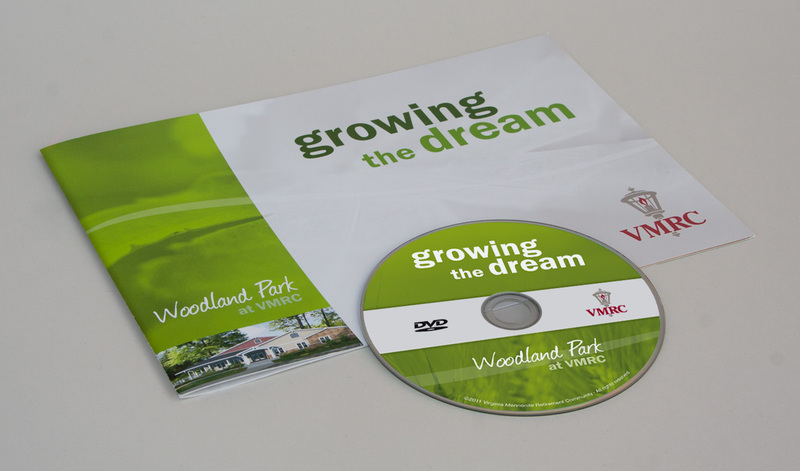 The brochure was to serve as a companion piece to a DVD with further detail about the Green House® model and the VMRC project. My design was guided by the thorough project brief developed by Gravity Group (the marketing experts in Harrisonburg, Virginia). We created a marketing piece that reflected the spirit of the new project and connected well with the target audience. 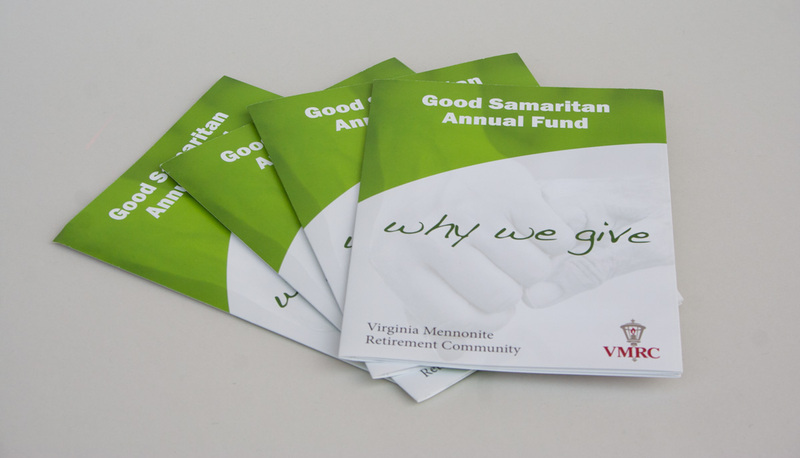 The Good Samaritan Annual Fund helps to bridge this gap between what Medicaid pays and the actual cost of care at VMRC for those who cannot afford it. With support from VMRC’s community partners, we are committed to meeting 100% of the needs of our residents. 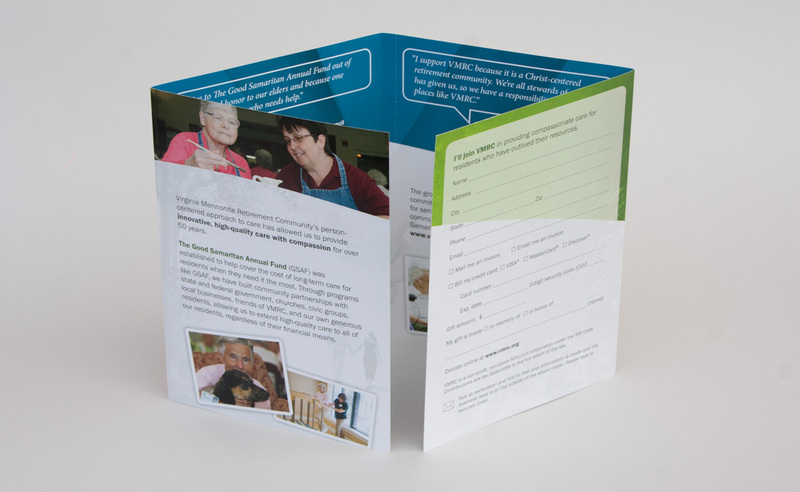 The self-mailer that I designed was part of a campaign to raise funds for the program. I chose to use similar elements as some introduced in the Woodlan Park campaign brochure (colors, soft and subtle backgrounds, and curve element) to provide some continuity between the two pieces.